Made in England, United Kingdom, Europe, 1890. 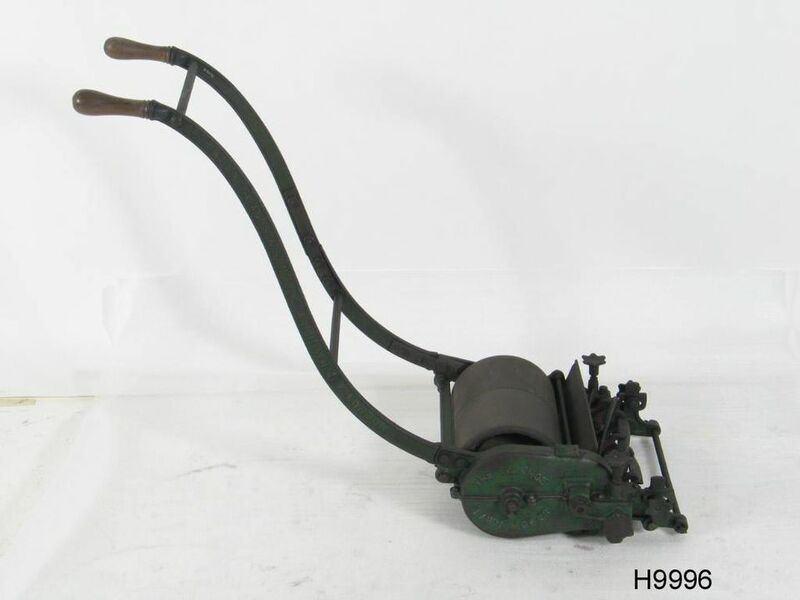 Alexader Shanks & Son was established by Alexander Shanks (1801-1845) who patented the first practical lawn mower, a horse-drawn mowing and rolling machine for lawns. After Shanks early death in 1845 the firm was later continued by his son James. By 1888 the firm were selling a large variety of stationary and marine engines, pumps and boilers. It traded as Alexander Shanks & Son Ltd by 1894 by which time the firm were making gas engines and holt bulb oil engines were being made by 1909. It was acquired by Giddings & Lewis-Frazer in 1968. This object is currently on display in Store 5 at the Museums Discovery Centre.